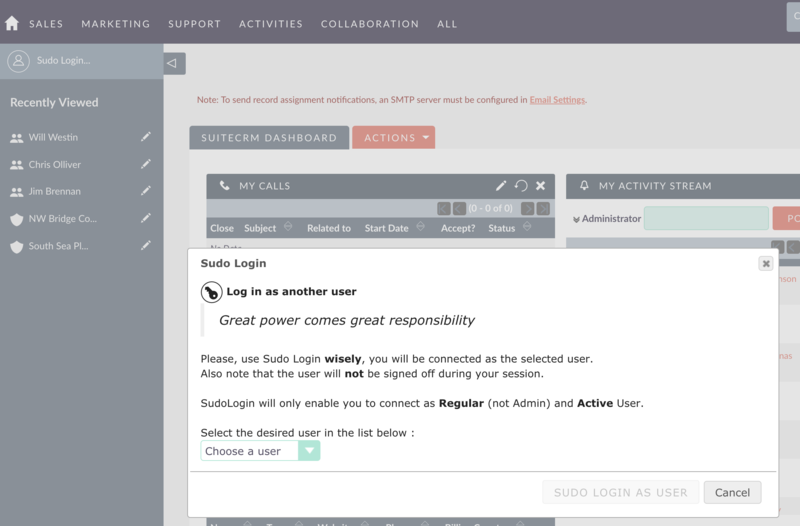 Sudo Login allows SuiteCRM Administrators to log in as a different user without knowing or entering their password in one click. This process is also known as Masquerade. - Setup / Configure user's personnal workspace, that is specially useful for team's newcomers to avoid letting them start from a blank CRM page ! This module is a must-have in any CRM implementation, and our customers are using it for years. Don't wait and give it a try, you'll not regret it.